“After every air raid we would have to count heads to make sure everyone was okay”. 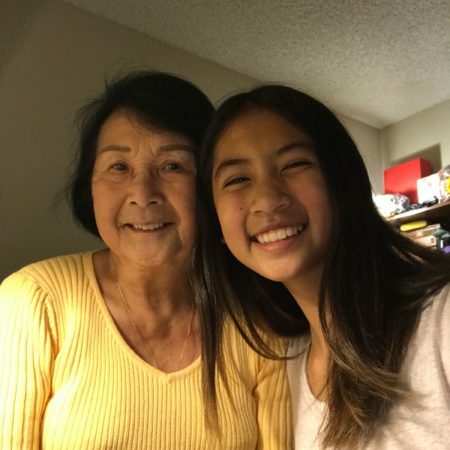 On January 1, 2019, 14 year-old Taylor Huie interviewed her grandmother, Sylvia Huie, about her experience escaping the Japanese-Chinese War in the 1930s when she was only 4 years old. Sylvia details how she had to escape from Japanese soldiers and how she hid from terrifying air raids around minute 1:30. Her stories reveal how horrifying war is, especially to a young child. She also explains how she left her family behind and travelled alone to England to attend nursing school when she was just 16 years old. She talks about her difficulties adjusting to Western culture and learning in a foreign language as well as how her friends aided her in her studies. And though Sylvia’s stories from war-time and nursing school may fill some with a feeling of sorrow and dread, knowing that my own grandmother persevered through struggle and hardships fills me with a sense of joy and admiration.